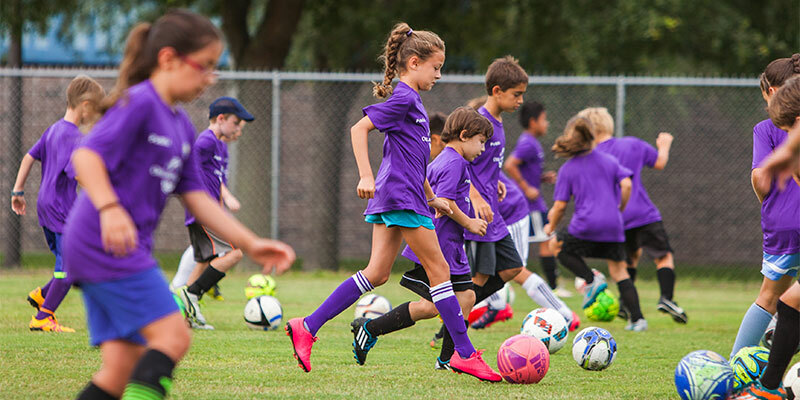 2019 Orlando City Soccer Camps are now open for registration! Come and join hundreds of your fellow players and Orlando City FC and Orlando City Pride fans in a week-long soccer camp that will provide plenty of new skills, fun drills, challenges, games and our own camp World Cup! Orlando City Soccer Camp coaches are handpicked exclusively to deliver this very special camp experience to both boys and girls ages 6-16yrs. Campers will be divided into age/ability groups and will enjoy either 3 or 6 hours of coaching each day for one week. Each camper will receive an Orlando City FC camp shirt and Orlando City FC ball, a personal skills evaluation and a FREE TICKET to an Orlando Pride Soccer Game! Players of all ages, background and skill level are invited to come along and learn from some of the most passionate soccer people from around the world. Groups will be divided based on age and ability. Daily sessions will include SAQ/ ABC sessions, a daily technical focus, competitive gameplay, all encompassed in a professional Orlando City/ Pride-themed environment with Player Appearances, homework, knowledge quizzes and more! As a special bonus, each camper will also be provided with Challenger's new coaching App along with 20 free skill building videos!